While we have already talked about this book on Bickering Books, it was totally awesome and I am really pulling for this work to get some awards. If you want to see our original video, you follow this link. Darius has never felt like he fits in anywhere. He is not “American” enough to make friends at school and he is not “Persian” enough to fit in with his mother’s side of the family. Darius constantly seeks the approval of his cyborg father, but their shared struggle with depression creates an immense amount of tension between the two. The only time they really seem to connect is through their shared love of Star Trek, but now Darius’s father has started watching the show with his little sister instead. 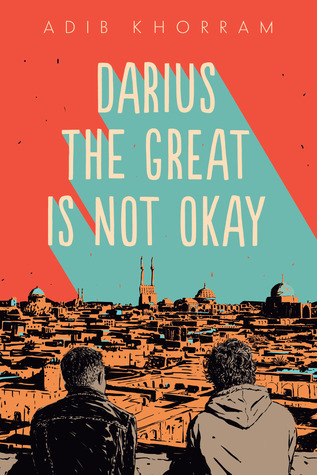 Darius is given the opportunity to find his true place, when his grandfather becomes terminally ill and the family travels to Iran to see him for the first and last time. Whether or not the Printz committee honors this book (which they totally should), it will become a favorite in English classes across the nation. Khorram has a masterful and refreshing way of crafting metaphors and comparisons. Readers will slow down to enjoy his words and look at their own realities through a new lens. The concept, jâye shomâ khâli, or your place was empty in English, will encourage readers to have long discussions about identity. Darius’s struggles are universal, but his viewpoint can provide a window into a world that is not typically addressed.